We color outside the lines, off the paper and onto the table. RocketFuel is a Memphis-based creative agency that provides branding, design, web development, digital marketing, communications and social media strategy to clients nationwide. We've helped hundreds of organizations level up, grow their businesses and solidify their brands. Our company began in 2001 as Rocket Science Design when our CEO, Reuben Brunson, hung a shingle and forged a path as a sole proprietor and graphic designer. Reuben has always been interested in that thing called the internet. Reuben teamed up with our now chief web geek (also known as our CTO) Andy and they started building and designing websites, primarily utilizing Wordpress. In 2007, Reuben, Andy, and the rest of the Rocket Science Design team launched the RocketFuel CMS. Over time, our very own content management system ate the entity formerly known as Rocket Science Design and we officially became known as RocketFuel. With the CMS in hand, our core competency was designing and building custom websites for small to medium sized businesses, typically in the Memphis area. Judge Us by Our Size, Do You? 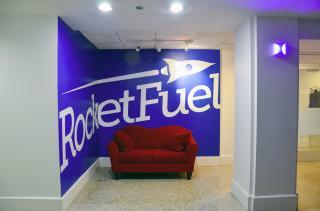 As RocketFuel grew, so did the size of our projects and the nature of the services that we offered. Our clients needed more from us than just web design and development and we endeavored to become a full-service agency, with an interactive and geeky focus, returning to our roots of print design, marketing, advertising, strategy, social media management, and content writing.